Cortijo El Coto is a country house situated within the Natural Park of Sierra Maria – Los Velez just outside the historic village of Velez Blanco in the eastern part of Andalucia. Cortijo El Coto is a 200 year old country house fully restored and meeting today's luxury standards. It is situated on a property of 6 hectares surrounded by pine trees, almond groves and olive trees. Cortijo El Coto is a casa rural (registration CR/AL/00107) certified by the Spanish ministry of tourism, so meeting the official standards in ecology, safety, wheelchair accessibility and rural environment. It was some 18000 years ago that the original inhabitants of the area settled in this region. The 25 archeological sites which have been declared World Heritage by UNESCO contain some of the most important examples of cave paintings in Spain. 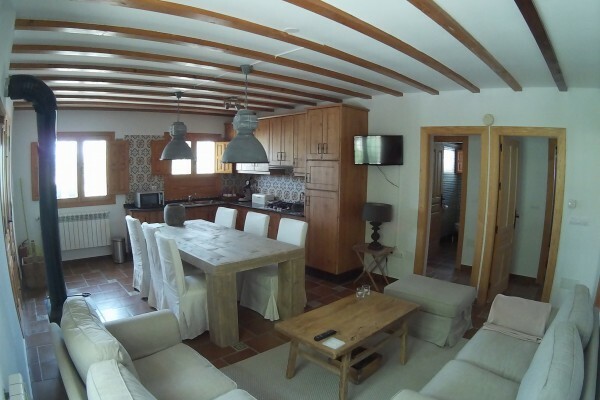 Cortijo El Coto has two apartments for rent each with 3 bedrooms in total (quality mattresses)and 3 bathrooms. Fully equipped kitchen (dishwasher, fridge, freezer, oven..) and living room. Several terraces, BBQ, pool, garden furniture, and free WIFI. 90 euro per 2 persons / per night. 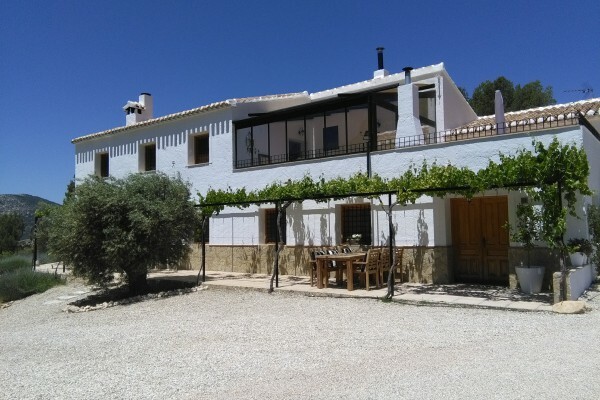 No experiences yet with Casa rural Cortijo el Coto. Be the first! Did you stay in Casa rural Cortijo el Coto? Let us know what you thought about it and help others to make the right choice! * I confirm having stayed in Casa rural Cortijo el Coto. Find other bed & breakfasts in Vélez-Blanco or all bed & breakfasts in Andalusia.